Having trouble with your car system? Worry no more; you can now do a diagnostic test that will aid in determining the repairs that should be done for a vehicle to operate properly. Car diagnostic tools have been made available in the market hence, instead of taking your car to a mechanic, you can check the car system all by yourselves. Looking for a car diagnostic tool is not a walk in the park. There is a wide range of tools in the market today; therefore one must be knowledgeable on the kind of diagnostic tool to choose. This is the number one factor that an individual must take into consideration. Some features of OBDII may not work with all models of cars. As we will see in the next subtopic different OBD2 models are compatible with different vehicles depending on the make and the year the car was manufactured. Obviously, I would not want a complicated diagnostic system. So ease of use would be my second consideration. Or at least a manual that is not that complex to comprehend. A tool with a simple manual with a simple language that is understandable to the user makes the whole work easier. Who wants expensive tools that can the serve the same purpose as a cheap one? An ideal diagnostic tool should not only be pocket-friendly but also able to perform its purpose correctly. It should be able to serve a whole range of purposes and be durable. A portable diagnostic tool is highly convenient because one can carry it and use it in case of a car breakdown. Most of the car diagnostic tools have a module with a screen that can be held in the user's hand. This gives you an easy time carrying it. A less informed individual is bound to choose a wrong diagnostic tool for his or her car. Therefore he or she is advised to be accompanied by a well-informed individual, for example, a mechanic. Sometimes it may not be easy to find one. Therefore the individual must settle on a recognized car diagnostic brand that is reliable. 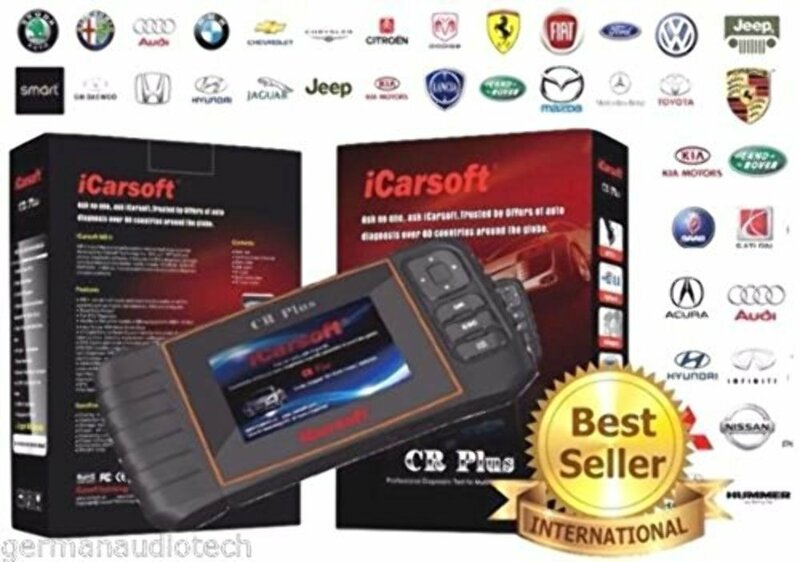 The ICAR SOFT CR is one of the best diagnostic systems you will find out there. Being released as recent as March 2016 means it is more updated with the current car models and engine makes. 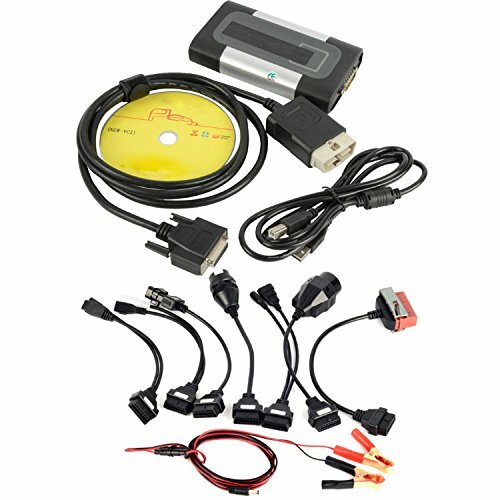 This makes it a top-notch diagnostic system, and though the price makes the user suffer, it is just the perfect tool for vehicle diagnosis. It not only supports full functions OBDII and EOBD and more functions of four system (Engine, Automatic transmission, anti-lock braking system and airbag). This factor not only makes it stand out in the market but also makes it one of the few diagnostic tools out there that can offer a wide range of these functions. Up to Forty brands of vehicles prevailing from Asia, America, and Europe, the ICAR SOFT system diagnostic tool is in a capacity to diagnose all from Audis to Volvos. Users can now upgrade to the latest software development, anytime, anywhere. This diagnostic tool perfectly serves the purpose especially for those who have old vehicles and heavy commercials like buses and trailers. While you may not find a tool that can diagnose old vehicles, this tool will be perfect for you. It works for cars and light vans dating from 1987 and also heavy commercial buses and trailers dating 1995 onwards. With this feature, you won't find it in other diagnostic tools. Individuals with old and heavy commercial vehicles can now be diagnosed successfully. With TRUCKS software package, one is now able to perform brand specific diagnostics for light and heavy commercial vehicle. It comes with a user manual meant to guide in your everyday use of the scanner. The instructions on the manual are easy to follow and understand.Using a complicated diagnostic system tends to give one a difficult time using it. The Universal Car OBDII processor-scanner is easy to use therefore giving you an easy time and saves you a lot of time and energy. It is powered via a detachable cable. Therefore there is no need for batteries as you can power it up using a detachable cable. The memo scanner will work just right for users who do not have an additional laptop computer to operate. This is a convenience since one does not have to incur expenses of buying a laptop. The memo scanner is a reliable tool and one no longer requires a mechanic to conduct a diagnostic. Apart from it being cheaper, the fear of being duped is no longer there. It also gives correct diagnostic, same as when you take your car to your mechanic.The worry that users may find it hard to use since they are not mechanics is a problem solved. It comes with instructions, and one can use them as a manual.The Memo Scanner U480 never disappoints. It is more than accurate; it can never go wrong with its operation. 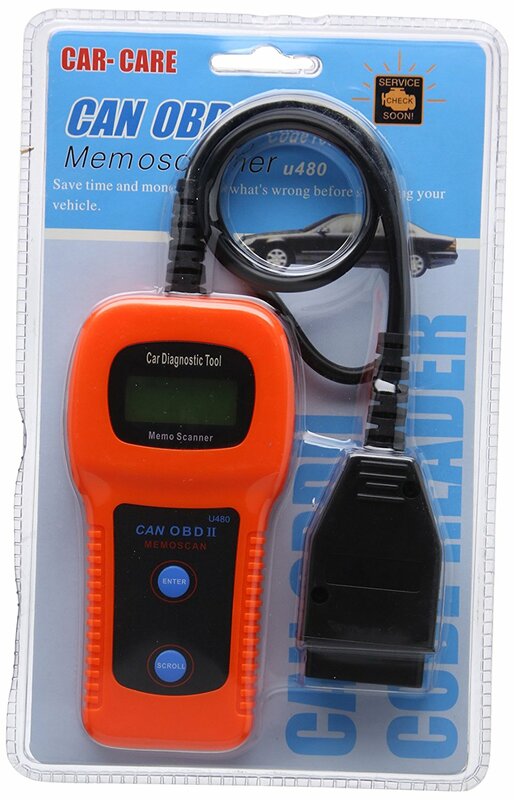 The diagnostic scanner comes with a user manual which is meant to guide you with the use of the tool. The instructions in it are simple to understand. 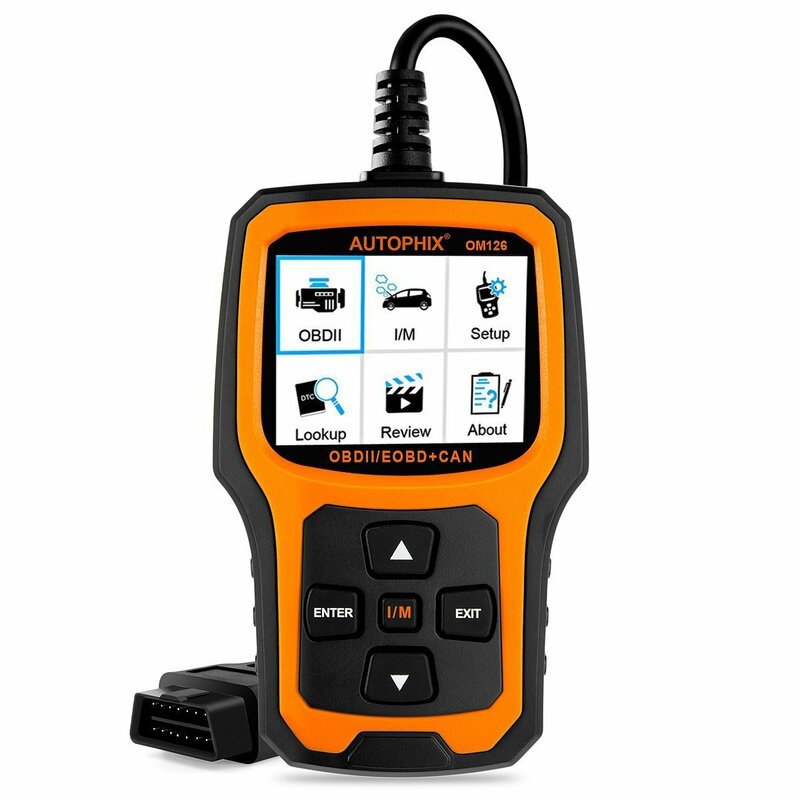 The Autophix OM126 Auto Engine Fault code reader scanner tool has a wide range of features and functions. For someone looking for a multipurpose tool, I wouldn't hesitate to recommend this one because of its peculiar features. The name may look very complicated but trust me; the Autophix OM126 has a very reliable and straightforward interface. There is absolutely no trouble turning it on, reading the codes and they work immediately after being plugged.It is powered via a detachable OBDII cable. This, therefore, makes it one of the very few tools that do not need batteries for power up. You only need a source of power. It features a large back-lit screen that is easy to read. The screen enables you to read live data stream of what's going on, and you can also retrieve the vehicle's information. It comes with a user manual with simple instructions. The manual is meant to guide you on how to use diagnosis tool and guide you on how to handle it with simple words that are easy to understand. This product has been in the market since 2015; this shows that it has been giving quality service to users for a year because otherwise, it would not be in this competitive diagnostic industry if its services are inferior. It has been tried, tested and trusted. It is getting positive reviews from clients who have used it. Mechanics have approved this item from time to time. So I do not see any reason for you not purchasing it. The pin to the connector provides power for the scan tool from the vehicle battery. This eliminates the need to connect a scan to a power source separately.It also has an instruction manual that is second to none. The manual has easy instructions that you can follow up easily. This makes it extremely easy to use. It is multilingual hence convenient for users in different countries.The scan tool displays live o2 sensor test data, and reads live PCM data stream. The scanner can retrieves vehicle information, identifies pending codes, views freeze, and frame data and easily determines the cause of the Check Engine Light. 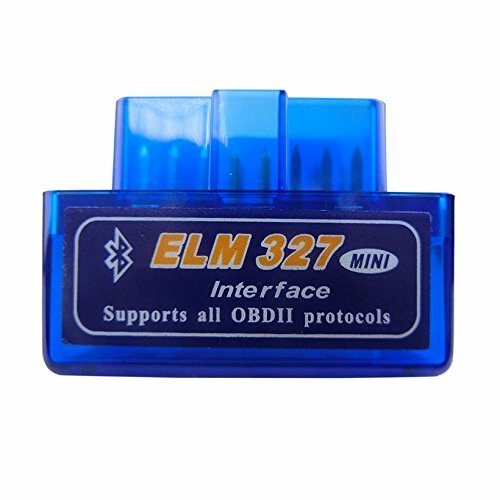 Upon taking all these factors into consideration and reviewing all the OBDII tools, I am sure that you can find your perfect match with a lot of ease. After slowly eliminating the non-compatible tools, they can now settle on one that is cost effective and attractive depending on the taste of the motorist. The above-reviewed tools are among the best in the vehicle diagnosis market. All of them have peculiar features which are different from each other but work the same. Therefore, you should be wise in the selection of a perfect tool for your vehicle.